Motor insurance, whether Comprehesive, Third Party Fire and Theft or Third Party only, rarely covers motorists for all the risks to which they are exposed on a daily basis. With insurance purchasing being so competitive, most motor policies do not include as a matter of course, certain risks that you might consider essential for your peace of mind. XS Protection insurance is an extra level of protection which covers your excess. If, for whatever reason, you need to make a claim on your current insurance policy. The excess insurance policy will ensure your excess is paid back to you (up to a pre-agreed limit). Most customers will find that the higher you are willing to set your excess the lower the premium on your policy will be. Lifestyle Products provide cover for the more personal events that can adversely affect your circumstances, often causing great inconvenience. Our products in this category are designed to alleviate some of the unfortunate circumstances that befall thousands of people every year. In conjunction with our broker/intermediary partners. Nice 1 Wins the 2012 Service Provider Award! 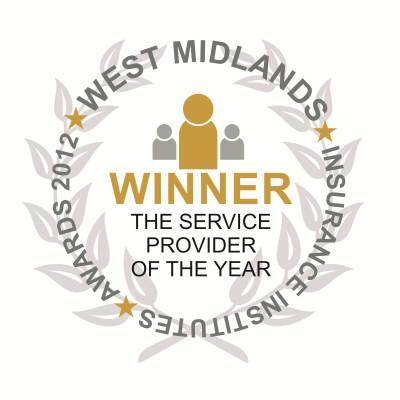 Nice 1 Ltd is the winner of the West Midlands Insurance Institutes award 2012 for best Service Provider.